Teaching Japanese fairy tales to kids? 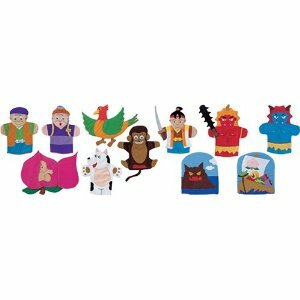 This set of puppets from the Momotaro story is a great way to liven up the class. The kids can take turns in placing the characters on the board as they appear in the story. These puppets are favourites of mine and a little bit unusual.